A statue lies hid in a block of marble, and the art of the statuary only clears away the superfluous matter and removes the rubbish. The figure is in the stone; the sculptor only finds it. What sculpture is to a block of marble, education is to a human soul. 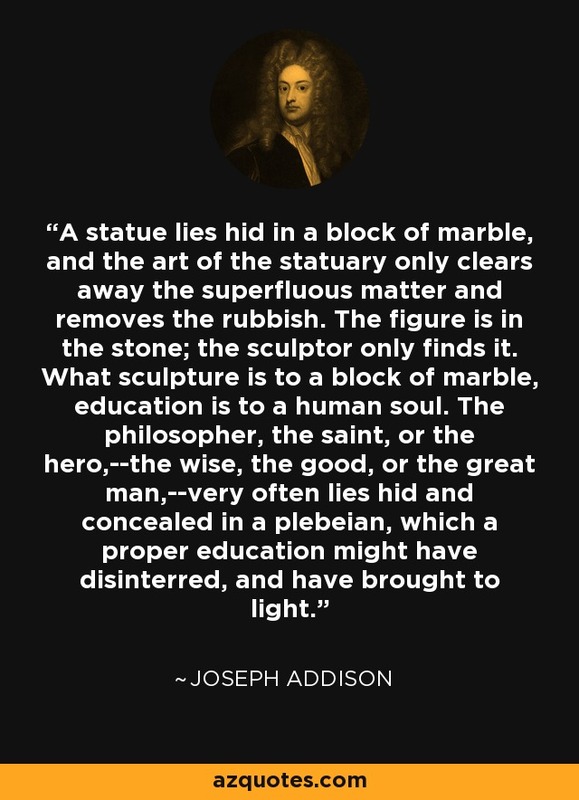 The philosopher, the saint, or the hero,--the wise, the good, or the great man,--very often lies hid and concealed in a plebeian, which a proper education might have disinterred, and have brought to light.